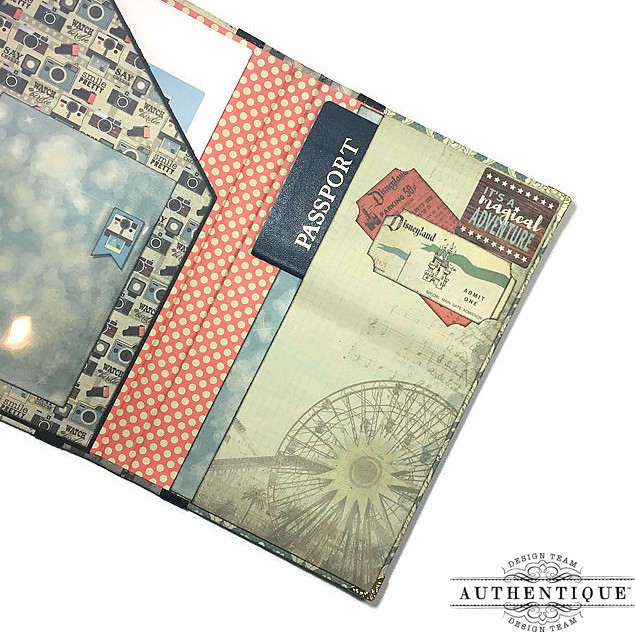 Today I bring a quick project made with Authentique's 'Pastime' collection. 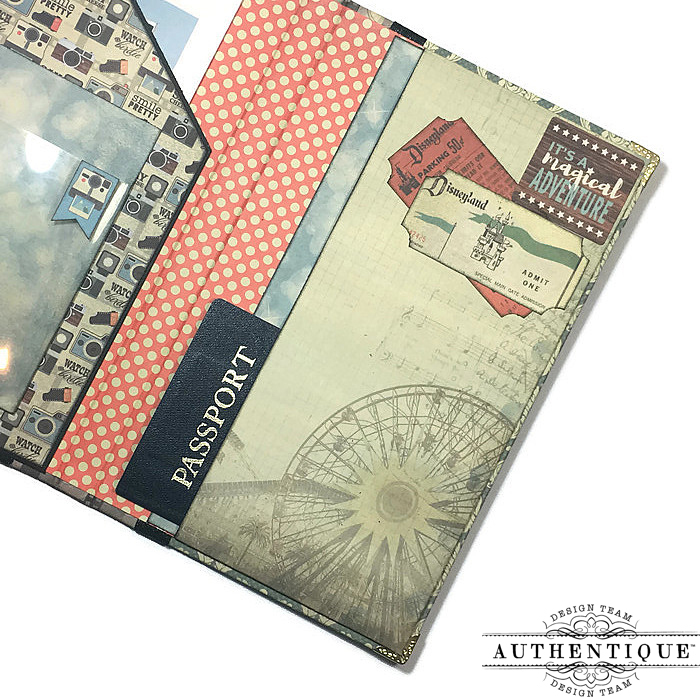 I've made a Travel Organizer which can also be referred to as a Passport Wallet. In my case, I choose the latter since I created this specifically to store my families' passports which in my case is three. I'm the one who usually does all the work when traveling--meaning I book the flights, carry the paperwork, do the check-in, carry the passports etc. I wanted something that can store any paperwork, boarding passes & passports in one place so that I'm not scrambling at the last minute trying to find all the documentation I need in order to travel. 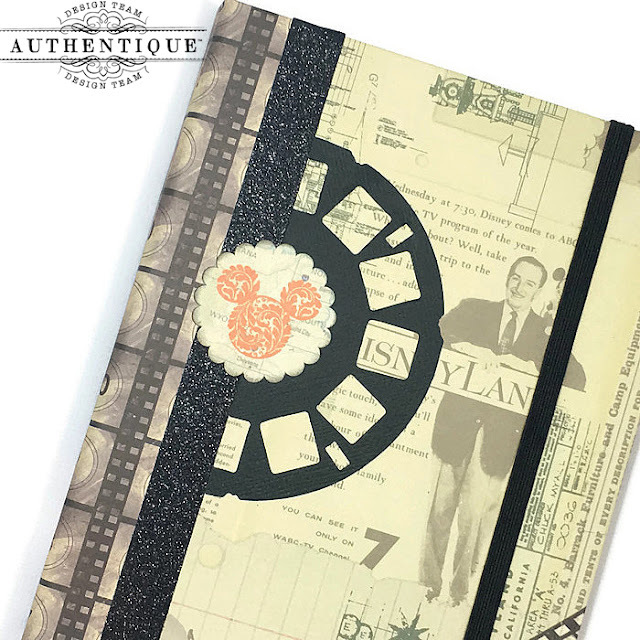 I chose primarily the designer paper from the collection that has Disney themed images since this is what I plan on using to carry our passports & paperwork on our trip to Disney--that is, when we actually go! It's on our bucket list! This booklet is simple. 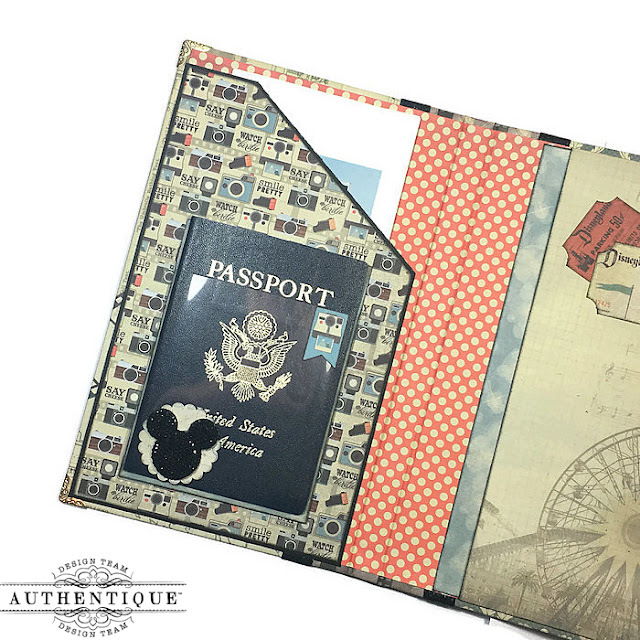 It measures 9" x 5 1/2" inches & is meant to store 8 1/2 x 11 papers which includes hotel reservations/confirmations & boarding passes & up to three passports. It has a 1/2 " inch spine. The covers & spine are made from medium weight chipboard. It opens up only once to reveal a large slanted pocket on the left hand side that will store the paperwork, a clear pocket that will hold one passport booklet & on the right hand side there are two pockets that will hold two passport booklets horizontally. Currently both my husband's & my own passport are out being renewed & we just applied to get my little guy's 1st passport--so I do not have all three passports to showcase. Instead, I'm using one expired passport to show the different pockets that the passports can be stored in. In this photo, you can see the top right hand passport pocket being used. This photo shows the lower right hand passport pocket being used. I kept the embellishments on the front cover very simple & not dimensional at all. Since I plan on carrying this booklet in either a book bag or purse--I couldn't have too many embellishments on the front cover--else they would get ripped off, crushed or simply fall off. This book is meant to hold up some rough handling! For the closure, I've adhered an elastic band with two wide eyelets to the back of the passport wallet. This elastic band is all I need to keep the booklet closed. Thanks for stopping by & I hope you all liked this little Travel Organizer/Passport Wallet project! 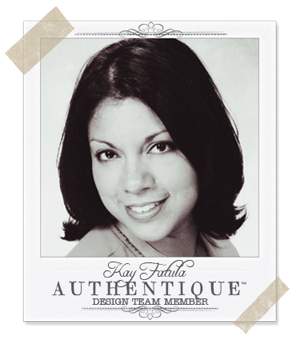 Authenntique you are so lucky to have Kay design for you. She had a very creative soul.